PALLEKELLE – Sri Lanka’s spinners claimed some big-name England wickets on the first day of the second Test on Wednesday before Jos Buttler and Sam Curran rescued the innings. Buttler’s 63 and a crucial 64 from Curran at the end lifted England to 285 all out after they had been struggling on 89-4 on the turning Pallekelle stadium pitch. Curran, fast becoming an England hero, said reaching near 300 was a “massive” achievement. England spinner Jack Leach then strengthened England’s position, dismissing opener Kaushal Silva in the 12 overs Sri Lanka faced as the home side reached 26 for one at the close. A day that saw Ben Stokes, batting at the key number three position, become the latest to fail also reinforced Buttler and Curran’s standing lower down the order. England were in trouble against spinners Dilruwan Perera who took four wickets, Malinda Pushpakumara (three) and Akila Dananjaya (two) when Buttler came in to counter-attack with five boundaries and a crucial 45-run stand with Adil Rashid who made 31. 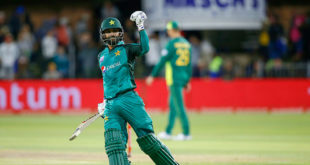 Buttler’s 63 off 67 deliveries ensured Sri Lanka did not convert a good position into a dominant one, as he swept and reverse swept furiously and effectively. He was eventually out top-edging a reverse sweep off left-arm spinner Pushpakumara, playing his first Test for more than a year. Curran was even more important, taking 50 balls to reach double figures before he tore into the Sri Lankan bowling. He hit six sixes and a four off the spinners and his last wicket partnership of 60 with Jimmy Anderson was the best of the innings. Stokes, who batted at number five in his team’s opening win last week, was boosted up the order in the latest bid to find a solid number three. Off-spinner Perera successfully reviewed an lbw decision against Stokes after the on-field umpire had turned down an appeal. He was out for 19. 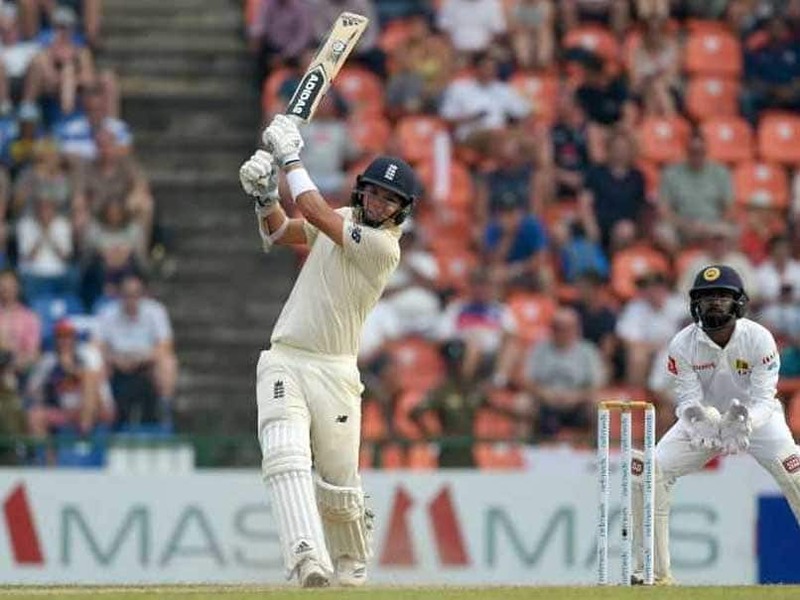 England captain Joe Root, who scored 35 and three in the first Test, was bowled by Pushpakumara in the 18th over for 14 and opener Rory Burns (43) soon followed as England lost regular wickets on the dry, crumbling surface. Curran said the wicket was fast breaking up and the cracks growing so England spinners must be looking forward to the second day. Ten of the 11 wickets to fall Wednesday went to spinners. There were several near misses during the 12 overs Sri Lanka faced, with Karunaratne edging a ball just low and wide of slip off the bowling of Ali when he was on 12. Leach then made the breakthrough at the other end, getting a ball to break sharply off the surface and beat Kaushal Silva’s forward defence, to rattle off stump – the batsman dismissed for 6. Nightwatchman Pushpakumara then survived the 15 balls he faced before stumps.